I was looking through some old photos and found some of my mother's school photos from 1929. 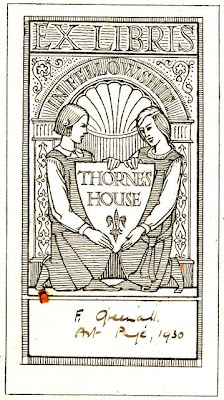 Class of 1929 Thornes House Girls Secondary School. Florrie Greenall (my mum) second from left sitting on the ground in front. 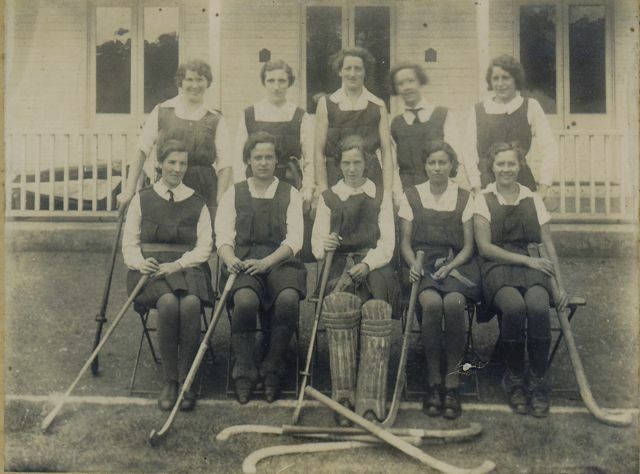 Thornes House Hockey Team 1929/30. 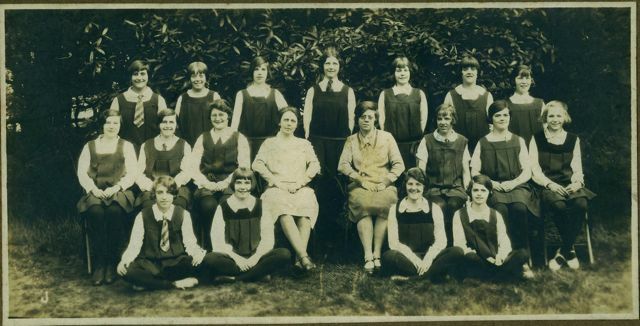 (could be 1930 as her hair style has changed) Florrie Greenall first on right in front row. Mum won the art prize . It was a prize of two Art Books. She cherished these books, brought them to Australia with her and gave them to me when she entered a retirement village here in Brisbane. 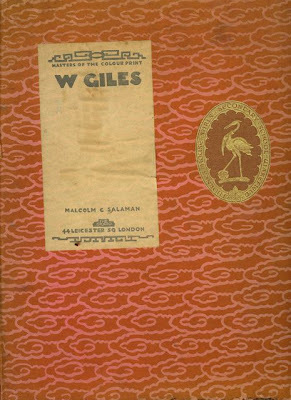 This is one of the books and the certificate pasted inside. (F. Greenall, Art Prize 1930). I wondered if the school still existed so I searched with Google. The school logo has remained almost the same. Thornes House, a fine Georgian Mansion was built in 1779-82 for for the James Milnes family in Wakefield, Yorkshire. It was the most imposing building in Wakefield in 18th century. 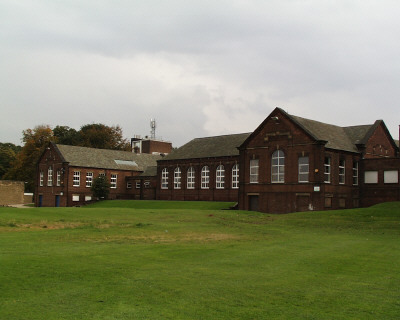 In 1921 it was sold and became Thornes House Secondary School. There was a Girls School and a Boys School. 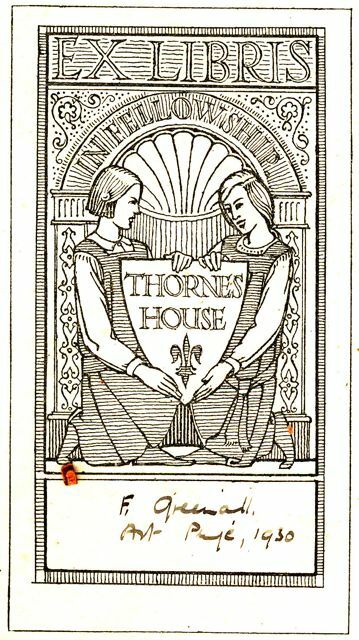 In 1941 it became a mixed school and in 1944 it was called Thornes House Grammar School. In 1951, fire gutted half of this beautiful building. 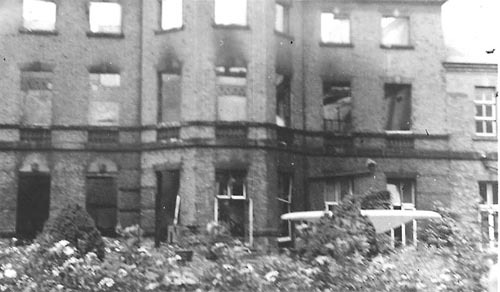 After the fire of 1951 half of the building was demolished. The other half is still in use today. 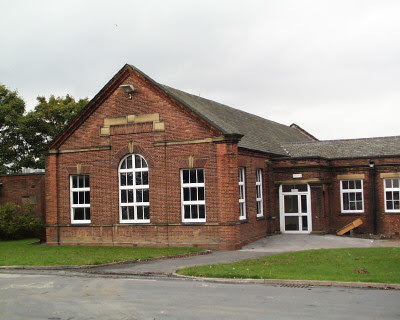 And the 1930's block housing the Gym,Change Rooms, Metal Work, Woodwork shops, Dining Room and the bicycle shed are still in use today. 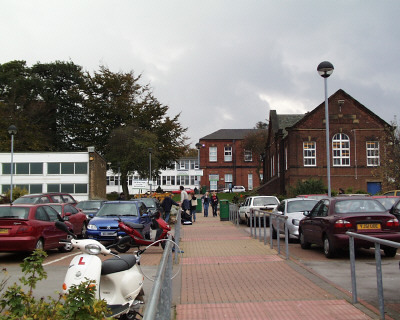 In 1972 it became a Comprehensive School and in 1993 it became part of Wakefield College called Thornes Park Campus. The original house was set in 112 acres, which became a park with playing fields and a lake. The remains of the old house at rear. Oh my, how those buildings were changed! Well ... replaced. I hope your mother never saw it again. Twould break one's heart. Love looking through old photographs like this. Those are wonderful photographs (and great words as well). You should really join us in Sepia Saturday, it is great fun each week. Wonderful post and photos of your Mom's school days. It is a shame about the old school building, I would have preferred it being restored. Remember how much I love old photos. Your mum was a pretty girl. And you're right, it is a shame they didn't restore the old school. Lovely photos of your Mum and the old school. School buildings of the 1960s and 1970s have a lot to answer for. This was very interesting. Family history always fascinates, and these days it's wonderful we can even see some of the places, thanks to the Internet. That building on the right looks like part of the old original building; I wonder how much of it they kept? You could Google Earth it and maybe you would be able to see. It's disgusting to replace the beautiful old building with this glass box ! I really wonder what goes through architect's minds ! money money money apparently ! that's really sad. Don't you just hate it when something unique and beautiful is replaced with such a visual eyesore? We were only saying today that these days they take more care to restore old buildings, even if they just keep the facade. In the 60s and 70s it was 'out with the old and in with the new' but I think people have more respect for history now. A real tragedy that the original school was gutted by fire ... What a wonderful piece of architecture. And I'm sure your Mother spent many happy days there. The older I get, the more I resent the relentless 'sorting' every time we moved that meant a lot of our potential heirlooms disappeared forever!! Yes---it is too bad that they didn't restore the old building instead of building that newer one. Your Mum a possible candidate for "The Belles of St Trinian's"! They who terrified all and sundry with their hockey sticks! Such a pity a magnificent school building was replaced with that square unattractive monstrosity! Your mother must have been sorely disappointed with the end result. That is heartbreaking about the fire. I know restoring old buildings is quite expensive today but I would have thought at that time it wouldn't have been so much and could have been rebuilt with a closer resemblance to the original if not as large. Splendid set of pictures - that design must be a off the shelf job as it look like parts of my old school in Somerset, UK! Loved your Mum's school photos. Amazed by the hockey uniform as I wore something similar in the sixties! Your Mum was obviously at a progressive school. This was such an interesting post and quite fascinating to see how things have changed and why. I think the changes over time are one of the more interesting facets of history. Great treasures, those pictures! Neat that the school encouraged physical activity back then! Such priceless heirlooms of your Mother's school days. Loved the old photos and this is a great post. Thanks Diane, have a great week. what position hockey did your mum play? I played wing, but I was never good. My mum played Centre Half and so did I. You must have been fast. What a cool building to attend school in. I love love the old shots of your Mum and her team - that is totally fun! Some progressive girls there for sure now we know where you got it from. As the logo hasn't changed much, does this mean they have kept "the old school tie"? Thank you for sharing this story, great photos! That's great that you discovered part of the original school still exists. Thankfully my mother's old school in Christchurch NZ appears to have survived the earthquakes, although no doubt it would have suffered some damage. Of course I am just in love with the artwork on the bookplates! I thought - "I am sure I have seen those photos before" and then I rechecked the date of the original post. Well worth a second show. I must have missed these the first time round so I'm glad you re-linked. It's always so sad to see once stately buildings now surrounded by clutter. I recently "drove" by my old high school (which was never stately) using Google and was stunned to see what ugliness had been built around it. I haven't been back to the school since the year after I graduated and now after seeing it online I know I never will. What a sad view of the school gutted by the fire.